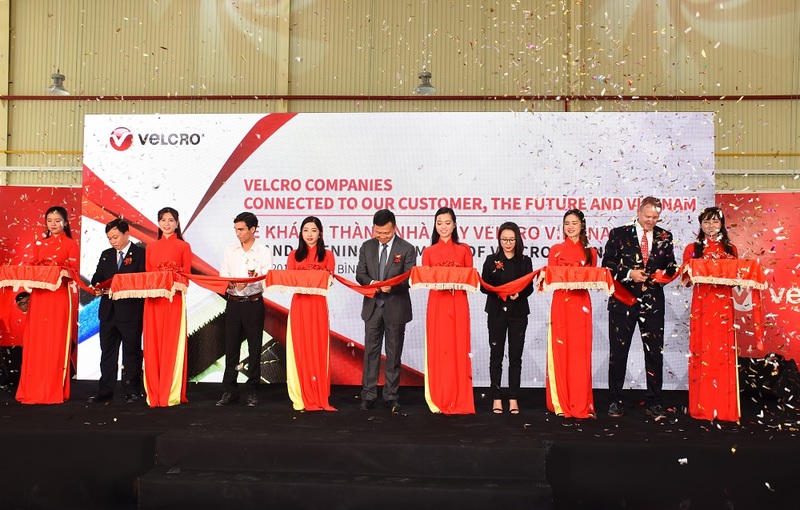 Ho Chi Minh City, Vietnam – September 25, 2018 – Velcro Companies, a leading independent company in the global fastening industry, today announced the opening of its newest production facility, in Vietnam’s Binh Duong Province. The facility will support the group’s rapidly growing business with regional and global customers across Southeast Asia. Vietnam has grown into one of the world’s largest manufacturing hubs for global apparel brands. For over five decades the VELCRO® Brand has supported apparel customers worldwide, with the group’s first hook and loop fasteners actually transforming the possibilities of garment design and manufacturing. The brand’s innovative approach, industry experience and global footprint will benefit customers and brand owners alike as the company brings its expertise directly to Vietnam to work side by side with key stakeholders at each level of the supply chain. The Vietnam facility will serve initially as a converting and assembly point for products sourced at Velcro Companies’ other global sites. It will enable the group to fabricate products tailored to the unique needs of customers in Vietnam and Southeast Asia, providing a faster and more flexible response to local service and product needs. Photo from left to right: Mr. Nguyễn Thành Trung, Vice Chairman of VSIP Management Board， Mr. Đỗ Thành Thăng, Deputy Head of Investment and Business Management VSIP Management Board, Mr. Frank Liao, Velcro APAC Vice President, Ms. Cheryl Dang, Velcro Vietnam Operation Manager, Mr.Bryan Whitfield, Director Apparel Sales-NAM at Velcro Companies.